Ave Maria is a traditional prayer dedicated to the Virgin Mary, mother of Jesus, asking for her intercession. It has been set to music in over 4000 songs, some of which kept the original prayer as words while others used a different text than the traditional one. “Ave Maria – En Plein Air” features 12 beautiful “Ave Maria” songs by a wide variety of composers. Tarja Turunen breathes life into some of the most loved and rare songs of Paolo Tosti, David Popper, Astor Piazzolla, and of course Johann Sebastian Bach/Charles Gounod, among others. The closing track of the album presents a magnificent composition by Tarja Turunen herself. 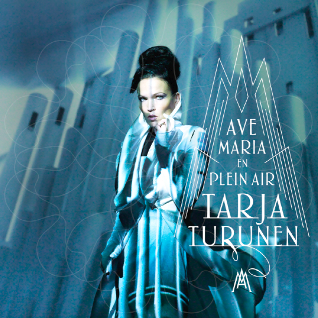 Recorded in the stunning Lakeuden Risti Church in Seinäjoki, Finland – a snow-white landmark, both national heritage and significant example of modern Finnish architecture designed by famous Finnish architect Alvar Aalto – the Lutheran church offers the perfect soundscape for Tarja Turunen’s crisp clear voice. Combined with a piercing organ, cello and harp, the music blends into a rich sound universe. 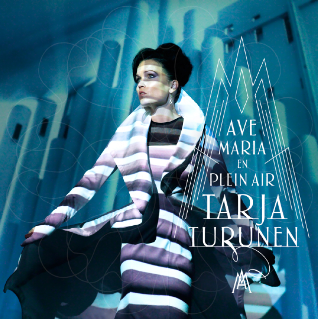 “Ave Maria – En Plein Air” will be released as Limited Super Audio CD,Vinyl and Downloadon September 11th, 2015 on earMUSIC. Classical music was Tarja Turunen’s first love. The classically trained soprano studied Church Music at Sibelius Academy in Finland as well as German Lied at the Music University of Karlsruhe, Germany. She became one of the most important female voices of metal: first as part of multi-million selling and groundbreaking symphonic metal band Nightwish and later with her successful solo career, carrying her own name and releasing three studio albums so far. Tarja Turunen has always crossed genres and musical cultures, showing a wide versatility with projects such as “Tarja Turunen & HARUS” and “Beauty & The Beat”; HARUS being a mix of traditional and modern pieces whereas “Beauty & The Beat” created an interface between classical and rock music, arranged with orchestra and choir. Tarja Turunen is one of the few artists who can perform at the biggest rock and metal festivals one night, in a cathedral the next.